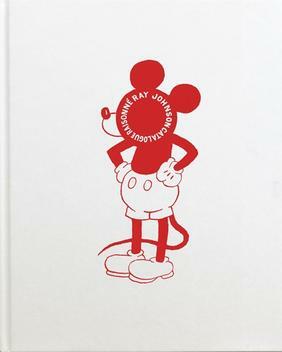 "An early participant in both the Pop and Fluxus movements, Ray Johnson created complex, punning works that ingeniously combine text and image, celebrity culture and art history, wit and melancholy. Figures such as Mickey Mouse, Elvis Presley, James Dean, Michael Jackson, and Calvin Klein models populate his many collages—a candid foreshadowing of current societal obsession. Publication includes 296 color reproductions of drawings, interventions and other ephemera from Johnson’s estate." This publication accompanied the exhibition Ray Johnson at Karma, October 7-November 1, 2014. View Ray Johnson on Karma's website.